Long-time pro Danny Wong hasn’t been around tournament poker for quite some time, taking a break to peruse cash games around the world, but he made a splash in his return to the circuit by notching a deep run in the WSOP Main Event. Wong had more experience than any of the remaining 14 players as of around 9 p.m. local time in Las Vegas. However, he suffered a crippling beat when his A-10 was victimized by A-9. Before the river card, he had a shot at poker’s most coveted, yet improbable, title. 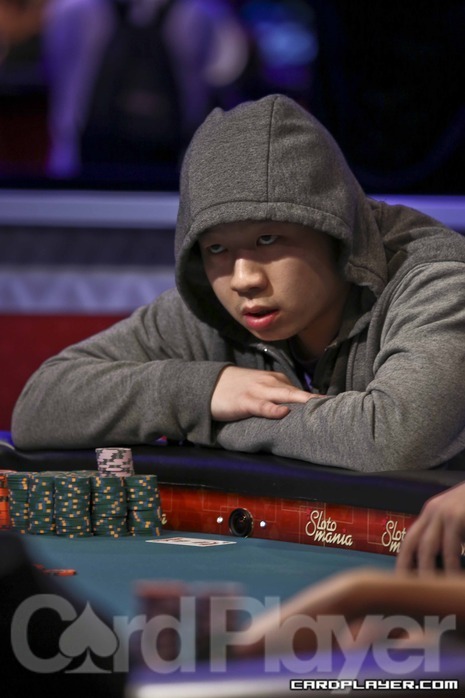 Despite doubling up once, Wong was still a short stack and eventually hit the rail in 14th place for a score of $465,159. He now has more than $2.5 million in career earnings. Wong comes from a culture where gambling isn’t highly regarded. He said he wouldn’t want a future son or daughter to play for a living. Wong’s parents are supportive, but they still want him to do other things. He once contemplated parlaying his degree in business to trading on Wall Street. Those plans were derailed by poker success, but Wong still has aspirations outside of cards. The passion for tournament poker may have dwindled, but he said it’s not difficult to have the love for the game while deep in the Main Event. “It’s your chance to make all the beautiful money,” he said before his elimination. With a large score, Wong said he would consider playing in what he calls “baller” games in Macau — ones that escalate to $500,000 buy-ins and feature some of the largest pots in the world. “If the game is good, why not?” the action-seeker asked. Still, Wong knows how to pick his spots and implement proper bankroll management. His maturity level with his finances has come after years of making a living on the felt. The $465,159 is safe. Long-time friend and fellow poker pro Steve Sung was there to watch Wong play Monday. Sung not only served as support, but also as Wong’s luck charm in a way. Wong had his buddy sweating him in 2006 when he chopped a Bellagio tournament.